Many business owners believe that their superstar sales person or their own sales skills are the key drivers of their sales. But in reality your best sales force is your customers, who have gained benefit from your business and can provide legitimate social proof. While you cannot control word of mouth, you can control – and systemise – the encouragement of passion and loyalty within your customer base. 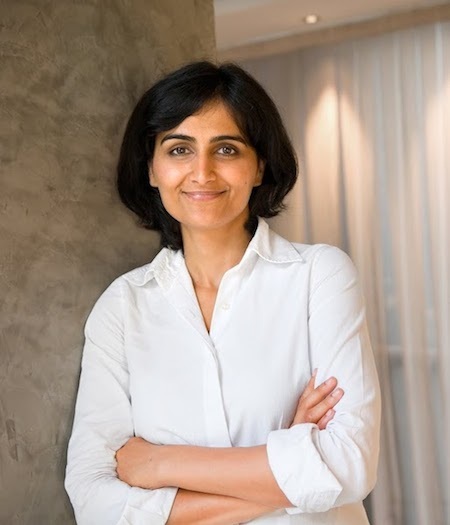 Multi award winning coach, Shweta Jhajharia, founder of The London Coaching Group has an eight step process that will help transform your customers into Raving Fans who will promote your products and services and help generate a serious increase in sales. Determine where your ideal customers operate and how your business can make contact with them. Whether it is social media, above the line campaigns, or targeting a specific geographical region, note these points of contact down. Know what your customers are looking for and what they expect at each point of contact they have with your business. You can find this information by thinking about your own experiences, or conducting research through feedback forms and surveys. It is essential to make your customers feel heard and attended to. Failure to do so is one of the major reasons why businesses fail. Now that you know what your customers are looking for, do not jump in headfirst trying to meet all those needs at once – be realistic about your own capabilities and play to your strengths. It may be necessary to expand your team in order to implement your new-found strategies for increasing customer loyalty. If so, ensure you are managing your team effectively and not allowing anything to slip through the cracks. You can download this PDF which includes a simple but powerful tool to manage your team’s activities. Now it is time to understand how you will get from where you are to where you need to be in terms of meeting your ideal customers’ needs. Note down all the changes that need to be made, how they will happen, and who will be responsible for those changes. Ensure your employees understand the need for the changes so they feel comfortable with them. With each change, ensure that you have a target in mind, and know the criteria you will use to measure your results relative to that target. Set out who is responsible for the creation of measurement tools and metric reviews so that nothing gets forgotten. Set a strict timeline for your change development, test implementation, full implementation, revision, and alteration processes. Be as detailed as possible in your plans, and include any resources you may need at each step – be it human or otherwise. As you work to increase your customer interaction and loyalty, the way customers respond to your business and its offerings will alter. You need to be able to measure this change through methods such as surveys, feedback forms, or through noting down your own or your employees’ experiences. If you are not measuring the effects how will you know if the changes are working? If a change has successfully affected your customers’ behaviour, you must ensure that it remains a central focus of your business operations. Consistent measurement and aggressive target-setting are the best ways to ensure that your changes are working and that they remain in place. Any change to your business processes will take hard work, persistence, a change in your mindset, and buy-in from your employees. Additionally, remember that customer needs will always be evolving, and so should your business; success is dependent on listening to your market and creating a strategy to exceed those expectations. As long as your business is flexible and changes when it is necessary, and you implement these eight steps, your fan base will be sure to grow and can become one of your most effective ways to generate sales.